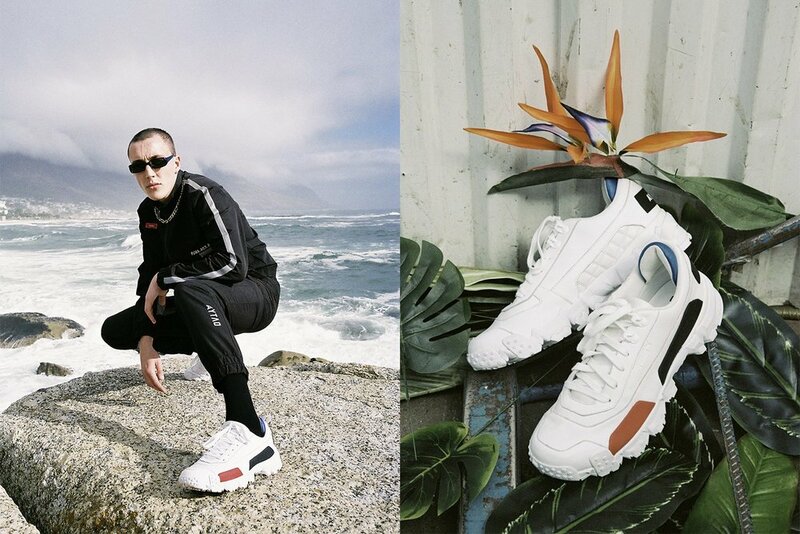 For July 2018 Puma join forces with Moscow based brand Outlaw to present a capsule collection in true Outlaw style. Outlaw draft Puma archive styles & new styles alike sharing their ideas across 4 shoes. With detailing and a color pallete inspired by their home in Russia. First among the line up, is the Puma Te-Ku a timeless court shoe first introduced in the 70's. Here Outlaw offer two takes both dressed in a long premium suede with leather foxing and textured midsole. The Outlaw team also work on the Trailfox. For this version the Russian brand give us a lifestyle take down version of Puma's serious off road trail shoe. Decked out in white leather with bright pops of red, black and blue. Further lifestyle elements are added with decorative yet functional heel pulls and exposed outsole tread on the upper. Finally the duo present the Outlaw take on the Avid zip sneaker. A contemporary style that has been seen in Puma partner Rihanna's Fenty collection. Outlaw keep things simple opting for a clean all white upper, with contrasting hits of black on the heel. A lone zip features in the middle removing the need for laces, and a rippled chunky sole unit is used to further enhance the shoes presence. Releasing on July 6 at selected retailers such as hanon.